My school district is in south Sacramento, an area that includes the hidden neighborhood of Florin. By “hidden” I mean it’s wedged between the two booming cities of Sacramento and Elk Grove, yet little, if any, construction or restoration is happening in Florin. Vacancy rates are high, with many buildings in disrepair and no longer habitable. Florin does not even have a post office or its own zip code. But hidden neighborhoods have hidden histories and stories. 442 soldier visits his mother at Florin farm. Before World War II, Florin was known as the “strawberry capital of the West Coast” and was home to a small community of Japanese Americans, who farmed the strawberry fields, often two generations, or even three, working the fields together: Issei, Nisei, and Sansei. In the weeks following the bombing of Pearl Harbor, all persons of Japanese heritage were removed from the West Coast, virtually changing overnight and forever the history of Florin. Few would return to reclaim their farms or businesses. Thanks to the support of Bob Fletcher, a Caucasian neighbor/upstander who looked after their farm and paid their property taxes, Al and Mary Tsukamoto and their young daughter Marielle returned to their Florin farm. Over the past 15 years, through my friendship with Marielle, I have had the privilege of learning about the internment years and their impact on the Florin community. With the reality that each year there are fewer WWII survivors left to tell their stories – and with the support of my district and the Sacramento Educational Cable Consortium (SECC), we began the Time of Remembrance Oral Histories Project (TOR). The 16-minute video below will introduce you to a number of our interviewees (including Marielle), provide you with a quick tour of Manzanar, and remind you what can happen when a nation fails to uphold the Constitutional rights guaranteed to all citizens. 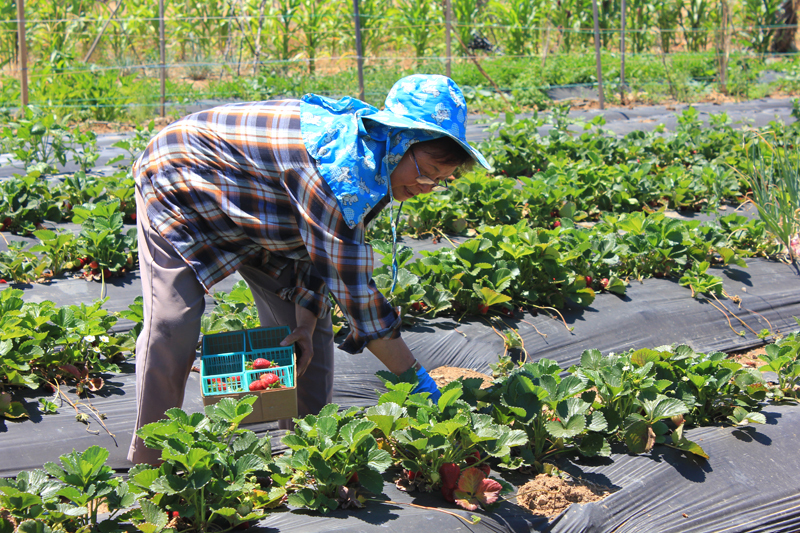 Today the strawberry farms of the Florin-Elk Grove region are farmed primarily by Hmong and Mien families, refugees from a hidden chapter of the Vietnam War: the Secret War in Laos. During the Vietnam War and amid fears that Communism was spreading from North Vietnam into Laos, the United States sent the Central Intelligence Agency (CIA) into Laos to disrupt the spread. Over 40,000 Hmong and Mien were covertly recruited to fight in the Secret War. It was the largest CIA operation ever undertaken. Hundreds of thousands of Laotian civilians were killed in the fighting or in retaliation for their support of American troops. Strawberry fields of Florin now farmed by Hmong and Mien refugees. As typically happens with refugee or immigrant families, the parents may arrive not speaking English. The children often put much energy into assimilating into their new homeland and communities – and consciously separating themselves from their native language and culture. Once again, hidden histories from Florin-Elk Grove neighborhoods, those not included in history books, could disappear if we do not document them. Thanks again to the support of my district and our partnership with SECC, Kathleen Watt (TOR co-director) and I have produced a short documentary to introduce you to our newest Time of Remembrance section: The Vietnam War. In addition to preserving the hidden histories of the Florin-Elk Grove region, we also want to build an archive of primary source documents and accompanying curriculum that teachers can bring into their classrooms. Even if adopted textbooks do not include or reference the Secret War in Laos, or include stories from the Hmong and Mien cultures, teachers can address that void by using the growing TOR resources. For a second grade unit on folk tales, for instance, teachers can introduce our Forbidden Treasure hyperdoc lesson, which features a folktale from local author See Lor and even includes a snippet of See reading her favorite passage. We are currently seeking more Secret War resources for secondary grades. Kathleen and I looked forward with much anticipation to the recent airing of Ken Burns 10-part documentary on the Vietnam War. We wondered if he would be including a section on the Secret War. He did not. But we have some exciting news: Adding to their long, long list of outstanding documentaries, PBS has added two recent documentaries: The Hmong and the Secret War and America’s Secret War: Minnesota Remembers Vietnam. We were thrilled to see independent researcher and historian Tua Vang (whom we have interviewed for TOR) and author Gail Morrison (whom we met during her CSU Sacramento presentation) both featured in The Hmong and the Secret War documentary. We are also thrilled to have two more powerful resources to add to our Vietnam War section. 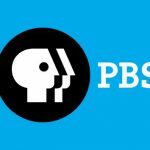 A shoutout to PBS for continuing to delve into tough topics and to create invaluable classroom resources that make hidden or undertold chapters in history accessible to teachers and students. 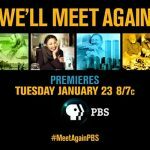 Last month I blogged about the amazing PBS series directed by Anne Curry: We’ll Meet Again, which featured Reiko Nagumo’s painful memories of her family’s removal from their home – and Mary Frances, the childhood friend who crossed the playground to stand up for her. Next month, as part of the Crossing Lines Seminar, in addition to the above-mentioned documentaries, I will also be sharing/showcasing PBS’s: Defying the Nazis: Sharps’ War, Violins of Hope: Strings of the Holocaust, Children of the Camps, The War at Home, and Ghosts of Rwanda. I’ve shared before that I co-direct and curate my district’s Time of Remembrance Oral Histories Project (TOR) with my colleague Kathleen Watt. Of all the interviews we have recorded for TOR, we continue to share Reiko Nagumo’s interview in our workshops, webinars, articles, and more. Start to finish, it is a beautiful story of loss and resilience. 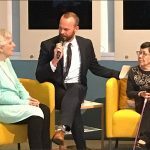 The courage of Mary Frances – a 2nd grader who crossed the playground to welcome Reiko back on the day she returned from the forced removal of her family and imprisonment in the Heart Mountain internment camp – truly ‘speaks volumes’ and demonstrates the lifetime impact of small acts of courage and kindness. In case you missed our previous posts (“We’ll Meet Again” – Premiere Episode: Reiko Nagumo” and “PBS: We’ll Meet Again – Reiko Nagumo Reunited With Her Upstander“), it was 10 years ago that we (Elk Grove USD, in partnership with SECCTV), conducted the interview with Reiko, so you can probably imagine our excitement when CSU Sacramento Librarian/Archivist Julie Thomas sent out the “We’ll Meet Again” email announcing that, 70 years later, Reiko had found Mary Frances! It was thanks to the efforts of Ann Curry and PBS that the reunion happened. And how fortunate for all of us who treasure this World War II story that Curry and the PBS film crew were there (Japanese Tea Garden, Golden Gate Park, CA) to document the moment as part of the series. The theme for Episode 1 was Children of WWII. This short trailerwill give you a glimpse into both Reiko’s story and Curry’s style. What could be better than viewing Reiko and Mary Frances’ story via PBS? How about traveling down to Sacramento’s California Museum to spend an evening with Reiko … and Mary Frances?! Yes, Mary Frances flew out from her home in Kentucky to visit again with Reiko, this time spending the morning with Reiko at the Museum to share their stories with visiting classrooms of 5th grade students from the Sacramento region, including one from EGUSD’s Anna Kirchgater Elementary. 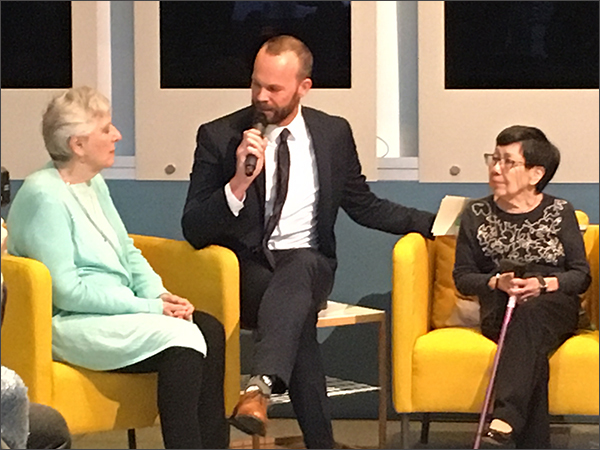 A shout out to the Museum and KVIE for hosting the evening event, to Rob on the Road for balancing our tears with laughter, and to Marielle Tsukamoto and Christine Umeda for getting the word out! As soon as KVIE posts video from the event, we will share it with our readers. So proud to stand with Reiko! 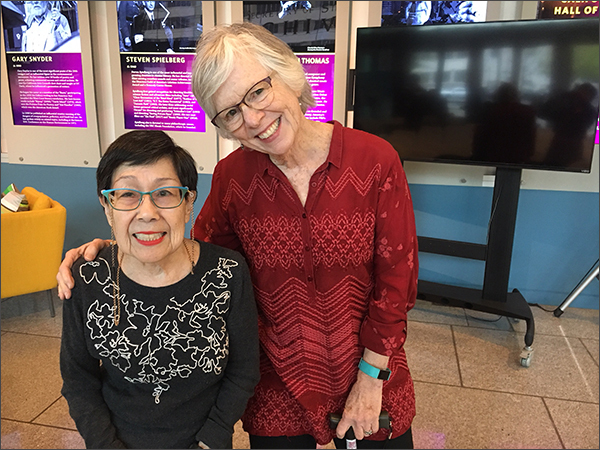 At long last, meeting Mary Frances – and sharing the moment with Christine Umeda! It will be a long time to come before we forget this evening. 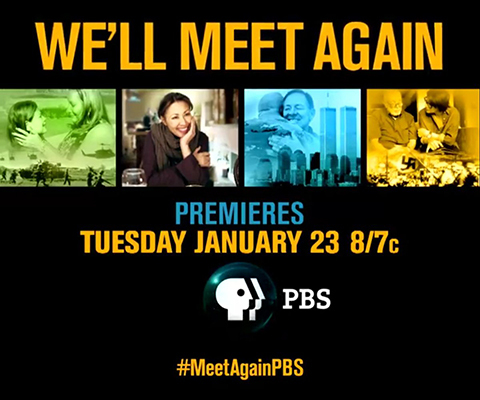 Thanks to an email from Julie Thomas, Library Archivist for California State University, Sacramento, I made sure to be home last Tuesday by 8:00 p.m.
We’ll Meet Again is a new PBS series produced and hosted by veteran journalist Ann Curry. The six-part series documents reunions between people whose lives were suddenly disrupted by historic events such as war. Episode 1 features Reiko Nagumo and her childhood friend Mary Frances, who, following the bombing of Pearl Harbor, stood up for Reiko when no one else would. I have blogged before about Time of Remembrance, an oral histories project I co-direct for my district with my colleague Kathleen Watt. We had the privilege of interviewing Reiko 12 years ago. Her interview is one I often share with elementary students. I especially want them to know about Reiko’s friendship with Mary Frances (clip 2, 04:52). It’s a beautiful example of what can happen when a single person crosses the line (or playground) to extend a simple act of kindness to someone in need. 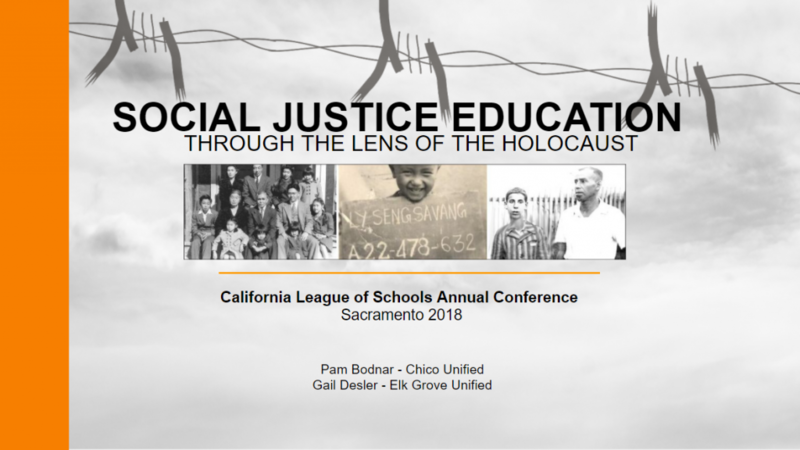 The high quality of the interviews (PBS quality, if I say so myself) are the result of our partnership with the Sacramento Educational Cable Consortium (SECC). We are incredibly grateful to the talent and project dedication of SECC videographer Doug Niva. Several years ago, following a 3-day trip to the Manzanar internment camp, Doug suggested that we make a short documentary to introduce people to our growing collection of interviews. I’m American Too – A Story from Behind the Fences (16 minutes) includes snippets of Reiko’s interview, along with other internees, whose lives were also overnight and forever changed by Executive Order 9066. Based on the impact of Reiko’s interview, and in every interview since hers, we always end with the same question: Can you think back to a time in your life (facing exclusion and forces removal, surviving in internment and refugee camps, starting the first day of school in a new country, etc.) when there was someone who stood up for you, making whatever challenges you were dealing with a little easier to cope with? We are firm believers in the power of a single upstander to make a profound difference in someone’s life – or even change the course of history – and that “it is small things that allow bigger things to happen” (Sam Edleman, Holocaust historian). January has been a painful month in my district due to a number of racist incidents, which have been widely publicized through local and national media. In an attempt to build student awareness on the exponential negative impact of bystanders, be it face-to-face or online, we invite students across the district, nation, and globe to contribute to our Upstanders, Not Bystanders VoiceThread. We started this VoiceThread a few years ago, and have had an amazing range of contributors, from kindergarten students to humanitarian Carl Wilkens. And, yes, Reiko Nagumo has already shared on the Voice Thread. Note: A VoiceThread is like a visual podcast. Once you register with VoiceThread for a free account (a process that takes only a couple of minutes), you will be able to post a comment via voice, text, or webcam. Your comment will go “live” as soon as we approve it. If you are in a school district that is a GSuite (formerly known as Google Apps for Education) district, you already have an account, as VoiceThread is now integrated into your district Google account. Head to your Google Apps launcher (waffle) and scroll down to the More section to find the VoiceThread icon. We look forward to hearing your students’ upstander stories – and yours too! Besides the VoiceThread, you can also leave a comment on this post. We’d love to showcase any projects or programs you are implementing in your schools to promote tolerance, respect, empathy, inclusion and global citizenship. 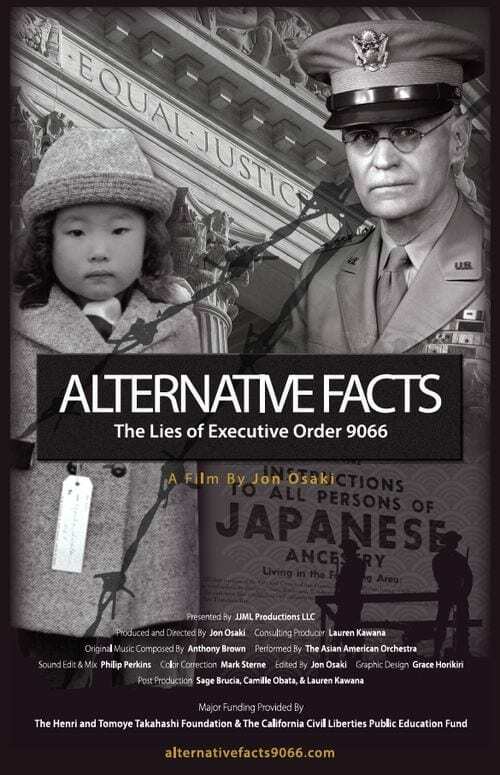 Last month, I posted Remembering Executive Order 9066, commemorating the 75th anniversary of FDR signing this historic, unfortunate executive order. Given how often the term “executive order” is currently in the news, I wanted to do more than simply reflect on an injustice from the past. Today I am posting a new lesson/hyperdoc to the Time of Remembrance (TOR) website: In Response to Executive Order 9066. 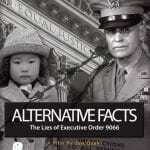 The goal of this lesson is to introduce students (Grades 4-12) to the possible impacts of any executive order that targets a specific group of people. 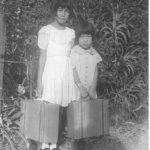 During the months following the bombing of Pearl Harbor, over 110,000 Japanese Americans, two-thirds of them citizens of the United States, were evacuated from the West Coast and “relocated” to detention camps established by the U.S. Government. As captured in Ansel Adam’s iconic photos, many internees would spend the next three years behind barbed wire. Their stories of discrimination and forced removal provide a window into a time when our nation failed to uphold the rights guaranteed to all citizens by the U.S. Constitution — regardless of nationality, race, religion, or ethnicity. As students delve into the lesson by watching the I’m American Too – Stories from Behind the Fences documentary and exploring the primary source interviews in the TOR WWII Archives, they will gain an understanding of how virtually overnight West Coast farming communities were forever changed, with very few internees returning to their former homes. The students are then tasked with capturing a “story from behind the fences” by drafting a letter in the voice of the internee to someone, real or imaginary, outside of the camp. Using Dwight Okita’s “In Response to Executive Order 9066” poem as a model, their final task is to transform their letters into letter poems. The lesson is also a call to action. Students are warmly invited to take their letter poems beyond the walls of the classroom by submitting them to the TOR Student Gallery for publication to a national audience. If you work with students, I am pretty sure you will agree that when we support students in speaking out on issues of social justice, we are often providing a lens to view the impact of bystanders and the difference a single upstander can make. 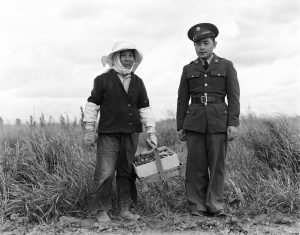 During the month of March, many West Coast school districts and museums commemorate Japanese-American internment with activities and exhibits. And, of course, probably all school districts celebrate April as National Poetry Month. 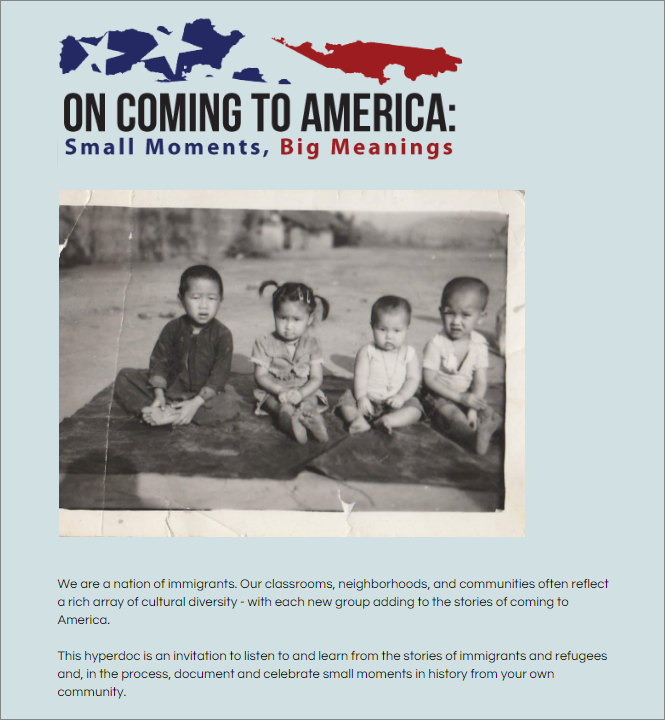 Whatever the occasion or lesson might be, if you are a teacher, I hope you will encourage your students to create letter poems in response to Executive Order 9066 and to publish them to an authentic audience, such as the Time of Remembrance Student Gallery. 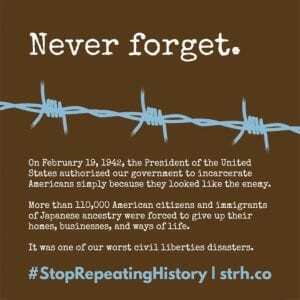 Seventy-five years ago today, President Roosevelt signed Executive Order 9066, authorizing the removal of over 120,000 people of Japanese descent, many of them citizens, from the West Coast. Virtually overnight, an entire group of people lost their jobs, their homes, and their constitutional rights. Thanks to a beautiful article in today’s SacBee from California farmer, journalist, and author David Mas Masumoto, I am reminded of the importance of standing up and speaking out on behalf of targeted groups. I teach in a school district that was once home to a hard-working community of Japanese-American farmers, who transformed the region into beautiful, productive strawberry fields. Following the signing of Executive Order 9066, the history of the Elk Grove-Florin region was abruptly and forever changed. Note: Opening image is from Reiko Nagumo’s TOR interview. We are a nation of immigrants.” Franklin D. Roosevelt, John F. Kennedy, Bill Clinton, George W. Bush, Barack Obama, Mark Zuckerberg, etc. Encouraging students to publish their Small Moments, Big Meanings projects to an authentic audience via several online options. I have posted before about the Time of Remembrance Project’s recently added Student Gallery. 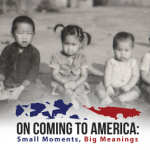 The Student Gallery is one of the suggested publishing venues for On Coming to America – Small Moments, Big Meanings, especially via the hyperdoc. How about your school or district? Have your students had the opportunity to roll up their sleeves and do the work of an oral historian? If not, I can promise that in the process of interviewing an immigrant or refugee, they will discover what I have learned: history happens one story at a time. It would be an honor to showcase your students’ On Coming to America projects. Questions? Suggestions? Please leave a comment. Let the conversations begin! I have not yet visited the Tule Lake Segregation Camp (AKA Tule Lake War Relocation Center), but as of Monday, thanks to a text message from Kathleen Watt (Time of Remembrance Co-Director) and a Tweet from Larry Ferlazzo, a trip to this remote area of Northern California is now on my 2016 to-do list. Kathleen and Larry both shared a link to Charles Lam’s NBC News article: Senate Bill Would Name Tule Lake, Largest Japanese Internment Camp, Historic Site. 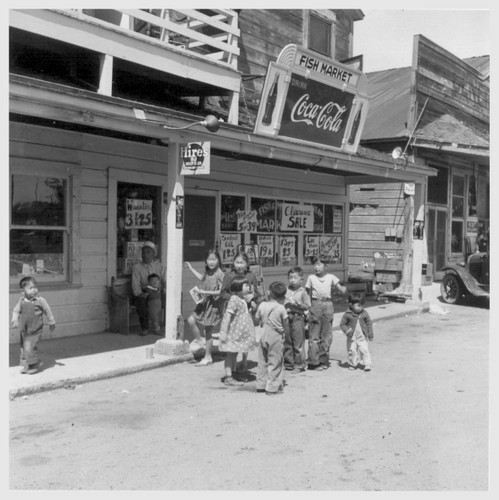 Tule Lake was one of ten internment camps quickly constructed by the U.S. Government for the purpose of removing all people of Japanese ancestry from the West Coast during World War II. It is best known as “home” to the “no no boys,” a term “for those who answered ‘no’ to questions 27 and 28, the so-called ‘loyalty questions’ on the Application for Leave Clearance form” (Densho Encyclopedia). Of the 32 interviews posted to the Time of Remembrance World War II Archives, 12 include first-hand accounts of life in Tule Lake. 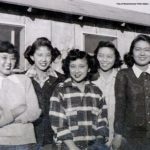 For some of our interviewees, Tule Lake was a starting point in their internment years; for others, it was where they were confined until the close of WWII. “No no boy” Jim Tanimoto’s interview is a compelling account of the consequences of taking a stand as an 18-year-old and refusing to sign the loyalty oath. Jim’s 36-minute interview makes a strong case for Barbara Boxer’s Senate Bill and will provide teachers and students with the content background to fully understand and appreciate this newsworthy current event. When I do make the 300+ mile journey from Sacramento to Tule Lake (hopefully this summer), I’ll be back with an updated post! I’d like to start this post with a shout out to language researchers Robyn Perry (University of California, Berkeley) and Steven Bird (University of Melbourne, Australia) for the incredible work they are doing through the Aikuma Project to preserve dying languages. Robyn has been a featured guest blogger on the TOR Talks blog (a project I co-direct with my school district colleague Kathleen Watt) and has also joined us,with Steven, for a Google Hangout. 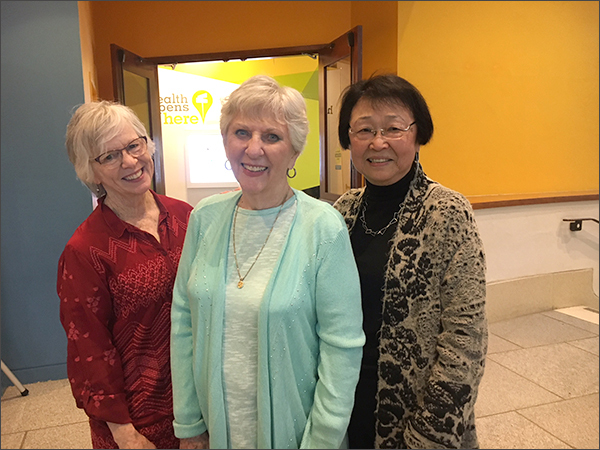 So Kathleen and I were thrilled when Robyn invited us to come to Oakland (California) for the Sunday, December 13, Treasure Language Storytelling Event. I was born in Oakland and grew up in Orinda, part of what is known as the “East Bay.” So I was surprised to learn about one of California’s “hidden histories” (not included in history textbooks): The storytelling event was taking place in an area once inhabited by the Chochenyo (a new word for my spellchecker), a division of the Ohlone tribe of Northern California and the first inhabitants of the East Bay. The Chochenyo language died about 70 years ago. But thanks to the efforts of Vince Medina and Louis Trevino, Chochenyo is re-emerging as a spoken language. Vince opened the event by welcoming us in Chochenyo. Next on the agenda was Leiz (Marc) Yauz-Cing and Lai Saephan, who represented Sacramento’s Iu Mien community. Two years ago, Lai spent 6 months studying the Mien language with Marc, who taught him not only the spoken language, but also how to read and write in Mien. Together, Lai and Marc told a Iu Mien story in two voices. Fortunately, their telling of “Hieh Mienh Gouv” (Wild Mien Story) was recorded. Before Marc and Lai started their story, the wonderful Koy Saephan, Lai’s big sister (sitting next to us in the audience), shared that becoming fluent in his native language had changed Lai’s life. Their family had fled Laos to Thailand after the U.S. pulled out of the Vietnam War. When they were granted permission to come to the United States, Lai was only 9 months old. Like many refugee and immigrant children, his older siblings took care of him while his parents held multiple jobs. With the siblings naturally wanting to fit into American culture, they spoke English with each other. Therefore, as a child and into his adult years, Lai could not fully communicate with his Mien-speaking parents. Six months of studying Mien changed that – and his life (see more below). The evening’s last story in two voices was a proverb told in Tigrigna, an endangered language from the African nation of Eritrea: Everything for My Own Kind, or, Our Donkey Is for Our Hyenas. The closing activity, the Language Champions Panel, was equally powerful. Vince Medina and Lai Saephan were joined by Tigisti Weldeab, an immigrant from Eritrea. As soon as the video is posted, I’ll add it to this post. I still have a lump in my throat from Lai sharing that before he learned his native language, he used to stutter. No more. Tigisiti shared what it was like arriving in Seattle as a 12 year old, wanting nothing more than to fit in, which meant speaking Tigrigna as little as possible. It was not until she started college and saw that her younger brother was losing the Tigrigna language that she realized the importance of keeping and promoting her native language. It will be a long time to come before I forget these “treasure language” stories. Each story is now part of our shared community history. And each story provides a window into the challenges of losing one’s native language. I’ve already marked my calendar for the February 21 Treasure Language Event, which coincides with International Mother Tongue Day and will therefore focus on women storytellers. I look forward to attending the event, both as a learner and as an educator. 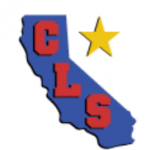 Given the diverse populations in California schools, with more than 88 languages and dialects spoken in my district, the “treasure language” stories should resonate with all who work with English Learner populations. Please help spread the word about the Aikuna Project and the February 21 Treasure Language Event. 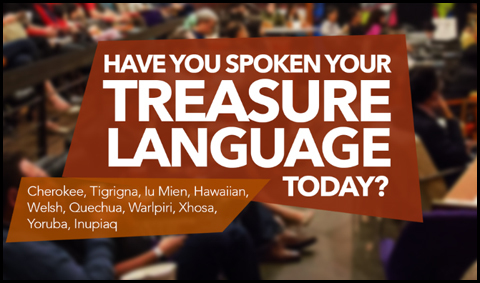 If you, or someone you know, speak a “treasure language” (endangered language) and would be willing to be interviewed, please contact Robyn Perry at robyn@ischool.berkeley.edu or 831-332-4208.